Part one of the 70th Reunion of Ice Capades in Las Vegas, NV. This was a reunion of about 600 former skaters, costumers, organizers, engineers, and technicians who were involved in the show. Interviews range from those involved from the 1940s to the 1990s. 58 minutes, 25 seconds. Check out the post from July to see photos I took at the event. Interviews with: Ray Belmonte, Fran Bennett, Charlotte Honea, Richard Dwyer, Leila McKellen, Jared Hoadley, Maureen Butterworth, Melva Hart, Michael Garren, Michelle Urbany, Bob Bennett, Mark Rowland, Roxanne Wassil, Patty Davis-Gur, Stephan Klovan, Peter Tyrell Jr.
Ray Belmonte (1981-1984): Ice Capades was not something I ever anticipated I would be doing, it was all kind of serendipity. When I finished college I was working for a year, I applied for medical school but I didn’t get in, so I found myself working a post-collegiate job, and I was kind of bored. Ice Capades came to town and I kind of saw the opportunity there, so just on a whim I auditioned. So for me it was an escape from the doldrums of, quote unquote, real life, and to do something exciting. And that’s exactly how it turned out for me. For the people that I worked with, somebody finishing their amateur career at that time, late 70s, early 80s, there weren’t any opportunities for anyone other than teaching as a professional. So Ice Capades, Holiday on Ice and Ice Follies were the only venues. And it was a great opportunity, although I think our perspectives — me coming from college and working a job and going to the show, my perspective on the show experience was a lot different from the skaters straight out of high school, away from home for the first time. They held the auditions every Friday night after the show, and depending on the city you might have as few as one or two skaters. Usually in the bigger cities you’d have five or ten skaters. And they would teach a combination, maybe 24 counts, and they’d observe you to see how fast you picked it up. And then they’d ask you to do it in groups of two or three people, and they’d evaluate your physical stature, your presence, your ability to repeat the combination. And in my experience they’d ask if you had a solo or anything prepared, and that was kind of your chance to step out and audition for an understudy or a principal role, although I think the principals got their roles more through knowing the inner workings [of the show] and making connections. When I auditioned I did have a quick number that they watched, and they told me offhand that if you get in we’ll have you as an understudy. But when I started I was in the chorus, and when you’re in rehearsals they have to find the understudies for the principals. It’s open to anybody, and I auditioned and became an understudy, and then next year I became a principal. I see ads now for, I think, Holiday on Ice, and they have definite height requirements, but I don’t ever remember seeing that for Ice Capades. It was kind of like an unspoken rule. At the reunion there were a couple of skaters I had heard of but had never seen, and when we were trying to figure out what company we were in, one said, look at me, do I look like I was in East company? Meaning the shorter people tended to end up in Continental company. It was kind of funny. There were three companies. East company was the, quote unquote, premier company. Every year they got a brand new show choreographed for them, they played what I considered the A-list cities like New York, Chicago, Philadelphia, Los Angeles. And then after that show ran that year, it would be handed down to West company, the sets and the costumes. The names are misnomers. The West company didn’t just play the West, they played the entire United States, but the cities were a little smaller, Minneapolis, St. Louis, Boston. And then after it ran in West company, it got handed down to Continental company. They played in cities like Des Moines or La Crosse. The people at the reunion who were in Continental company, they tended to be a little closer because the towns are smaller, there’s less to do, and you tend to hang out with each other a little more. At the end of the year, you had a meeting with the presidents and the producers on whether they would pick up your option, meaning whether they wanted you back next year. You didn’t necessarily follow the show year after year, they decided where you were going to go. It was pretty arbitrary. If you were a principal, you tended to follow your role, but not necessarily. When you’re a line skater, there’s not too much negotiation. They want you, or they don’t want you. Since I had to negotiate as a principal, money was always an issue. I became a principal my second year in the show, and they wanted me to do the same number in Continental company, and I had done the same number for a year and a half and didn’t want to do it for another year. So they weren’t willing to let me go back to East company and choreograph a number for me, and that’s when I left and got on with my life. The travel schedule varied. My first year with the show, it was grueling. I didn’t really appreciate that at the time, because it was all so new to me. But we traveled 42 weeks out of the year, and out of those 42 weeks you were working six days and traveling the seventh. I appreciated it and took it all in, but that wasn’t the majority opinion of all the skaters. My second year it was a 38 week tour. The grueling cities like New York, we did ‘six packs’ where you would do three shows on Saturday and two shows on Sunday. And I think the worst was two on Friday, three on Saturday, two on Sunday. That was not typical, it was usually, you would travel on Monday, get in on Monday, do Tuesday, Wednesday, Thursday, Friday, three on Saturday, two on Sunday. By the third show on Saturday everyone was pretty wiped out and was pretty much on auto-pilot. Which is kind of ironic because you would expect the Saturday night show to be the big show, but in reality everyone has been in the building since 11 o’clock in the morning, and they’re just all wiped out and can’t wait to get home. I tended to hang out with people who were a little bit older, because I was older than most of the line kids, and I wasn’t a big partier. So I would get up in the morning and go sightseeing, and I had a couple of friends I did that with. But a lot of people in the show liked to stay up late at night and party and have a good time. I and my friends, we would go out after the show and have dinner and chat and maybe play cards, and then go to bed at a relatively normal hour [laughs]. The showgirls, they were like the glamor, and they bore the brunt of the costumes. The guys, our costumes weren’t nearly as elaborate as the women. The women were wearing these floor-length capes, very heavy, with these headdresses. I can’t speak for the girls, maybe they all have cervical disc issues right now, I don’t know [laughs]. My second year in the show, when they were choreographing the number and then we put the costumes on for the first time, and because we were East company and these costumes hadn’t been tried out, I remember people being hit in the face with these capes swinging around, and beads getting slapped in the eyes — when you’re choreographing a number you don’t necessarily think of the spacing because one of the costumes is going to be flying in your face. So there were a lot of adjustments. 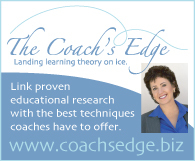 Ice Capades, it’s unquantifiable, the experience of being in that show, and the impact that it has on the rest of your life. At the time you’re just a bunch of kids running around, and you don’t think too much of it, but as time wears on and you’re becoming more nostalgic, and it was such a special time in everyone’s life — I guess if you’re a professional sports team, or maybe even if you’re in a combat unit, something other than a school situation where you’re traveling with people every single day, living with them in hotel rooms, sharing meals with them, you form such a special bond. And clichéd as it sounds, “family” is pretty befitting of that relationship. And as you get older, your paths become so divergent, and you have these reunions every five years, and I have to say, it’s really kind of nourishing for the soul. You’re seeing these people you have such strong bonds with, and for the most part who you’re not in touch with, and it all comes flooding back to you. It’s just such a special time, and a fun, nostalgic, and heartwarming time to relive all those memories. Fran Dempster (1956-1958): It was pretty terrific back in the 50s. We had our own trains. We used to travel on sleeper cars from city to city. I was in the East coast show which hit all the major cities, all the capital cities. The other show would repeat the show the year after we did it and would hit the lesser cities coast to coast. We spent six weeks in Atlantic City getting ready for the show, and then six weeks in Hollywood, California, at the Pan Pacific auditorium. And all the stars in Hollywood would come to the show and they would sit in the front row and we’d have to go around afterwards and meet them and shake their hands. We met Lucille Ball and Tab Hunter. The traveling was pretty terrific. We traveled with steamer trunks, the big old-fashioned kind with our wardrobes, drawers, hangers and so on, as well as suitcases. We were forbidden to pack our skates in any suitcases or steamer trunks. We had to carry them and we had special leather bags we were given, because if you arrived in a city and your luggage didn’t arrive you had your skates. The costumes were magnificent, all hand-done, beaded, sequined, the most incredible workroom of women sewing them. If we were caught sitting in a costume we were fined, and if we were caught smoking in a costume we were fined. You’d get your paycheck and there would be pink slips in it with all these fines. And you soon learned not to eat, drink, smoke or sit in your costume. And we had maybe six major numbers so we were always changing. It was a glamorous lifestyle. For many months we were rehearsing a new show while we were doing the old show. Charlotte Honea: All the money that was collected for the different fines, for the infractions that we did, we would have a party with that money. Everybody would dress up in a theme, and it was so hysterical. Some of us came in roller skates and practically fell on our faces because we were so used to the blade. Leila McKellen (1946-1950): After Ice Capades I went to Holiday on Ice and then to Sonja Henie’s show. I’ll be 80 in November. I’m still teaching, in Dallas. I was married in Atlantic City [while Ice Capades was rehearsing]. We always left there when the Miss America pageant came in, they would come in the next day. We usually moved on to Pittsburgh for the opening. John H. Harris, who was the owner then, he was from Pittsburgh, so that was our big opening. I was Number 48 [in the chorus line]. The ponies were the little girls, and then there were the tall girls, and I was in between. In Sonja’s show, I was the understudy for the lifts. When the boys had to lift her high, and turn her, she always used me to be lifted instead of her, until she had to do it. And my husband was one of the McKellen brothers, and they were in the show. And our son, Gordie McKellen, he was conceived in Sonja’s show, and she was his godmother. Sonja was a very nice person, she loved to party and have fun, and she was a great skater for her day and time. [Frank Carroll was right about how she dressed], everything matched perfectly. 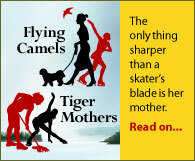 And she had about eight pairs of skates and would send them away to get sharpened, and then have others to put on quickly. And her mother always traveled with her and took care of her and watched over her, no matter what age she was. Jared Hoadley (1984-1995): I was in the old production, the end of the era when Scott Hamilton started, and then I came back when Dorothy Hamill owned the show. So I was there at the end. We knew that something was ending, it was tough for everyone. I remember doing my understudy in the first year of the show, in Washington, DC, in front of my mother, which was the first time she saw me in the show. And I did a Russian split flip that was supposed to land in a back lunge, and I landed on my face. With my mother sitting in the front row. That was probably one of my more memorable moments [laughs]. The hardest person to have in the audience is your mom. I started as a chorus boy, worked my way up to being an understudy and then a soloist. And when I came back I did solo roles for Dorothy Hamill in Cinderella, I was the pretty stepsister. It was fun. And then the last year I toured, I had a step-out but I mostly did ensemble work. I was kind of the elderly one of the chorus boys so I taught them how to have fun like the old people do [laughs]. I was training anywhere from two to six hours a day depending on the show. With Dorothy we did class for at least two hours every day. Now I teach, so I’m on the ice every day, and I stay physically fit with working out. But I have a bad back from years of falling. Maureen Butterworth (1960-1963): I was in the chorus, and I used to be what they called a swing girl, so I did spares. If somebody was sick I would take their place. I went to Russia in 1961. We went for ten weeks, in exchange for Moiseyev, the folk dancing group. We went to Russia and they came to America. Shirley Kineski (1962-1965): I was an Ice Capet. We did all the precision routines. I did some clown numbers too. It was terrific fun. I met my future husband at the time while I was in the show, he was a US Marine, and we were going to get married in Hawaii but he got sent off to Vietnam. But we did get to go to Hawaii and Australia with the show, which was a great experience. Melva Hart (1961-1966): I was an Ice Capet too, and I was one of the six or eight tall girls every year that we had in the show. Traveling and being on the road, it was a real thrill, and we became like family because we were together 24/7. Michael Garren (1965-1968): I saw the world. Ice Capades was my ticket to see the world, basically. And now I’m seeing my friends that I made in my youth and along the way, lifetime friends. I started out in the chorus and then moved to principal my last two years that I was with the show. It was my first professional job in skating, and I went on to do other shows after that. Those first few years were pretty exceptional, being my first time away from home and first time being exposed to big cities that I’d never been to in my life, and being exposed to show business which was my heart. Michelle Urbany (1968-1969): The whole experience was pretty awesome to me, something I wouldn’t trade for anything. It opened a lot of doors for me career-wise. I went from ice skating to costuming in the film industry, and while in the film industry I learned other skills, bookkeeping skills, tax-paying skills. So now I work as a chief financial officer for a small company in Sun Valley, Idaho. And also, from what I learned in Ice Capades, I own my own alterations business. And I retired from skating five years ago, but I’m still going strong. Bob Bennett (1956-1980): I was an engineer. I put in the ice rinks that they skated on for 23 years. I’m seeing some old-timers here that go back to World War II, and I’m going to be 90 soon. I was never a skater, always been an engineer, but for an awful lot of years, since 1943. And I’m still doing chief engineering for Willy Bietak, who does ice shows on cruise ships. Ice Capades went to a lot of countries, it was a good experience. We were involved in portable rinks that had to be taken from one place to another quickly. Mark Roland (1981-1985): My nickname was Poinzie, short for Poindexter. I was the nerdy one because of the glasses. And I was in engineering and I work in computers [laughs]. My favorite moment was when I joined the first tour. I came in halfway through the tour and my first city was New York City, Madison Square Garden. It was a great way to start. I was a line skater, and assistant sound engineer, and skate sharpener, and I used to put in ice rinks and take them out. I did everything. Roxanne Wassil (1972-1989): I loved every minute. I was a skater to begin with, so by the time I got around to being a performance director, I knew what they were up to before they got around to doing it [laughs]. I worked with talented, talented kids, and I loved being able to train them, see them through their showbiz fun [laughs]. The choreography was always set, by Bob Turk or by Shirley Costello, and it was my job as performance director to make sure it was done properly. We trained the kids in rehearsal and then took the show out on the road, and it was my job to make sure that the show was crisp and clean and fresh. Nobody wants to pay money to see boring, so we did not do boring [laughs]. But I loved the individuality of the skaters. There were rules, they knew them, and they knew if they didn’t follow them they would lose their job. It was simple but effective. For the most part, the discipline was within them, but sometimes at first you had to teach them, because they would join and think, oh, party. But then they would realize, yes, this takes work. But I would always tell them, you work hard so you’re entitled to play hard, so go for it [laughs]. And now that I am off the road, I find that I miss the people. I worked with some wonderful people, skaters, lighting directors, orchestra conductors, front office staff, choreographers. And those people are still friends. Patti Davis Gurr (1979-1981): I have a favorite memory and a most embarrassing one. It was in Indiana and all of the studio heads were there, the Ice Capades executives. And I was in a number, I was a Russian princess, something like a Russian winter wonderland. And I had a horned headdress, it went up about two and a half feet either side, with a long trailing gown. And back then you had breast pads to enhance the woman’s figure. And the next number was a disco number, so I had pink curlers in my hair. And my blades got caught and I fell over and my breast pads came out. And my headdress fell and the curlers came out on the ice, and everyone laughed so hard they couldn’t get me up. They had to roll me off the ice. So I’m known as the Lucille Ball in my group in that era [laughs]. Probably my favorite memory was my very last day of Ice Capades. Lynn-Holly Johnson, who did Ice Castles and was a James Bond girl, she came backstage and thought my costume was beautiful. And she said, gosh, I’d like to wear it. And I said, do you want to do my number? And you know, you’re not supposed to do that. But she did my number the last day. We wore sunglasses and there were rays around it, and she had no idea what she was doing out there. So I got in a little bit of trouble for that one [laughs]. I wasn’t a good jumper, but I think I felt the music and I loved the lyrical aspect. I wasn’t a good competitor but I was good in freestyle, and I think I was a good show girl. I liked to express emotion out there a lot. And I absolutely loved seeing new cities all the time, but I realize there is a common thread. Most people want the same thing in life, with love and friends, but what I really missed on the road was refrigerators and dogs [laughs]. Because you can’t go into a refrigerator at night, when restaurants are all closed down at night, and they didn’t have one in a lot of the hotel rooms. Stephan Klovan (1979-1984, and reunion co-organizer): There’s almost 600 people here, quite a gang, really happy. The memorabilia show is new, it’s a big hit. When the show was being sold, a lot of artifacts were put in storage and kind of forgotten. And a gentleman by the name of Marshall Sanchez in Phoenix was able to restore nearly everything. There’s no one single collector who’s interested in the whole thing, so we’ve divided it up so everyone can find things from the time when they were in the show. When the show was still at its peak, we traveled with a cast and crew of almost 100 and a full orchestra, so it’s pretty amazing to be in a show like that. I did chorus and understudy work, and I was also the show publicist for a couple of years. I learned all aspects of being in a big production so it was a wonderful experience. I remember seeing the show when I was a little boy in Michigan, when I was three years old, so that’s how I got into skating. And seventeen years later I was in the show, opening night in Atlantic City, 40th anniversary gala, so that was pretty incredible, like a lifetime dream. Peter Tyrell Jr.: My father owned the Philadelphia arena, and he was one of the arena managers that formed Ice Capades, because they couldn’t get enough dates from Ice Follies because it was so successful. So they started their own show. So I’ve known Ice Capades since I was 12. I skated in Follies for about a month, as a joke, in 1946. I was in the chorus, in the finale. It was a very simple part, I went out and sat there with these streamers and waved them, and then when the lights went out I went back behind the set again. Ice Capades was a good time, but I never appreciated it, it was just what Dad did for a living. And all his friends, no matter what it was, were the best in the world at what they did, if it was golf, pool, skating, wrestling, boxing. That’s what I grew up with, it was just natural. I love this site! It’s been great fun listening to these interviews. I especially enjoyed listening to the tales of the Ice Capades from Ray Belmonte, who I know through the Skokie Skatium FSC. Episode #71: Doug Wilson, redux! Congrats to Debashish and Brian! Win a timeshare in Park City, Utah! My podcast got a mention! There are many interesting characters, both famous and obscure, who make this wonderful sport tick, and their voices tell the story of skating best. I decided to combine my love of skating and technology to create this podcast series, and provide lengthy interviews of skating legends to the fans. I hope you enjoy listening to the results. No content on this site may be reused in any fashion without written permission from www.manleywoman.com.